Originally a Native American footpath, Dutch farm road (bouwerji means farm), and lower stretch of the Boston Post Road, the Bowery is NYC’s oldest thoroughfare. It has seen nearly every type of transportation from stagecoaches and street cars to elevated trains and automobiles. Its most famous travelers were General Washington and his troops, who triumphantly marched down the Bowery as British troops evacuated Manhattan on November 25, 1783. America’s first streetcars, which were horse-drawn, began runs on Bowery between Prince and 14th Street in 1832. 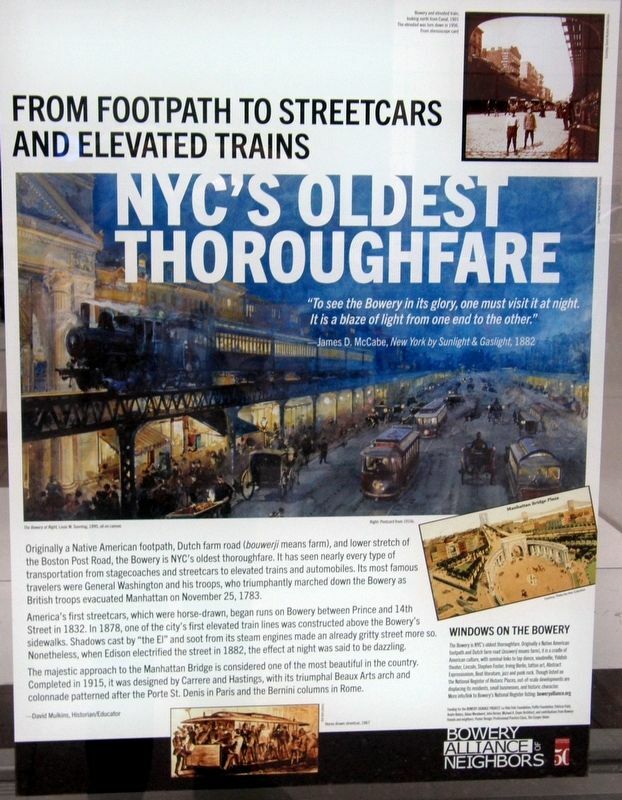 In 1878, one of the city’s first elevated train lines was constructed above the Bowery’s sidewalks. Shadows cast by “the El” ands soot from its steam engines made an already gritty street more so. Nonetheless, when Edison electrified the street in 1882, the effect at night was said to be dazzling. one of the most beautiful in the country. Completed in 1915, it was designed by Carrere and Hastings, with its triumphal Beaux Arts arch and colonnade patterned after the Porte St. Denis in Paris and the Bernini columns in Rome. Erected by Bowery Alliance of Neighbors. Location. 40° 43.482′ N, 73° 59.558′ W. Marker is in New York, New York, in New York County. 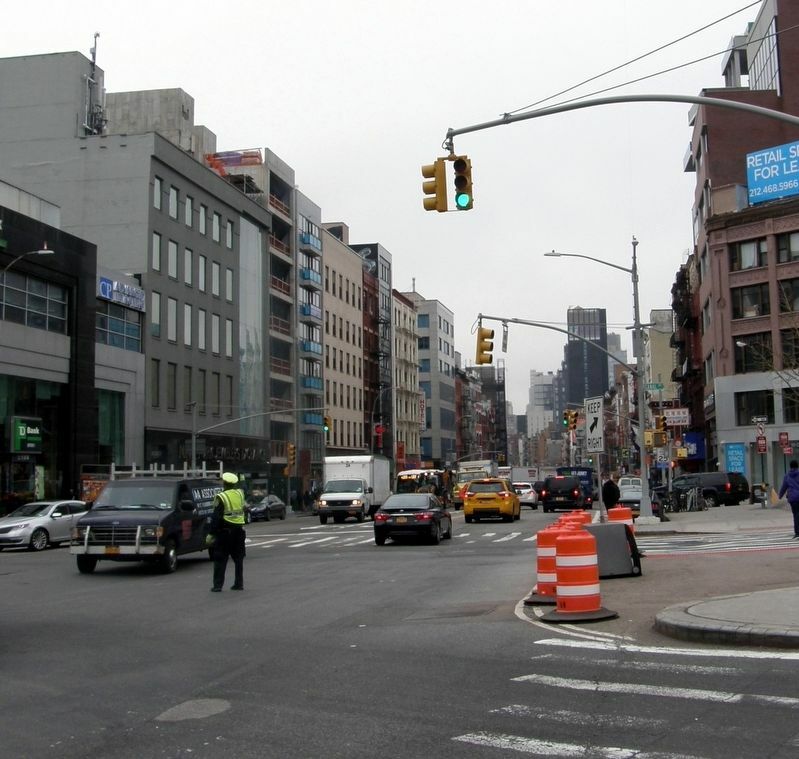 Marker is on Bowery near E. 1st Street & E. Houston Street, on the right when traveling south. Touch for map. 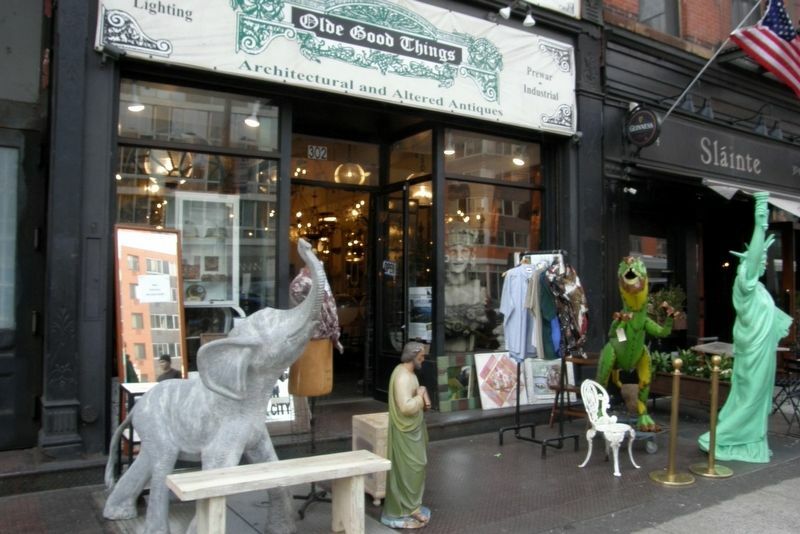 Marker is at or near this postal address: 302 Bowery, New York NY 10012, United States of America. Touch for directions. Other nearby markers. At least 8 other markers are within walking distance of this marker. Bouwerie Lane Theater (about 400 feet away, measured in a direct line); Jean-Michel Basquiat (1960-1988) (about 700 feet away); The Puck Building (about 700 feet away); Firehouse Engine Company No. 33 (about 800 feet away); Site of Elizabeth Blackwell's Infirmary for Women and Children (approx. 0.2 miles away); New York Marble Cemetery (approx. 0.2 miles away); The Neighborhood - Little Italy (approx. 0.2 miles away); Justus H. Schwab, 1847-1900 (approx. 0.2 miles away). Touch for a list and map of all markers in New York. More about this marker. One of more than sixty entries in the “Windows on the Bowery” series. This particular marker appears at buildings that do not have a site-specific marker, though it can be found in conjunction with those that do. The marker is near the entrance. 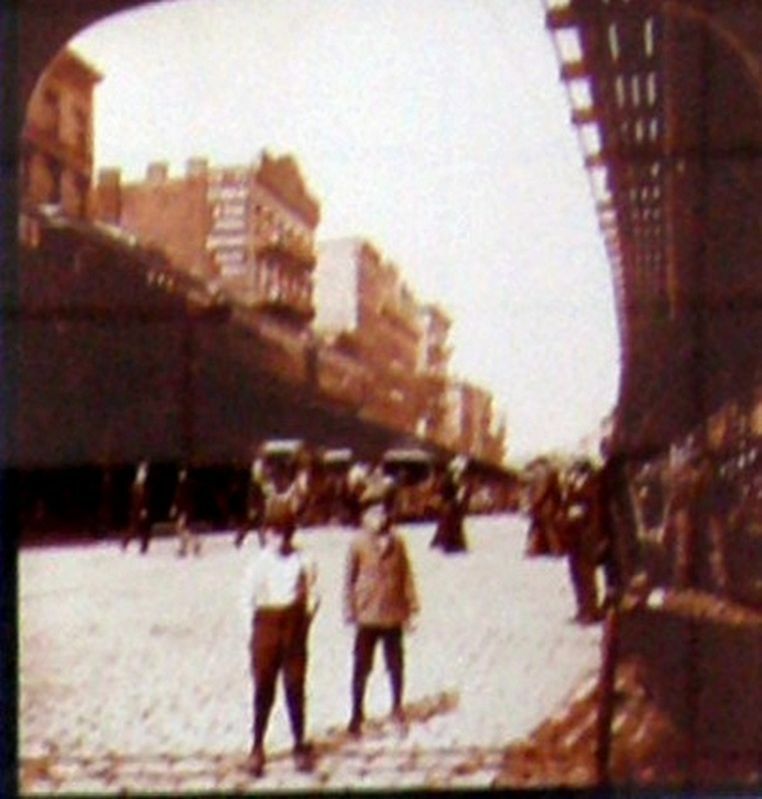 Bowery and elevated train, looking north from Canal, 1901. 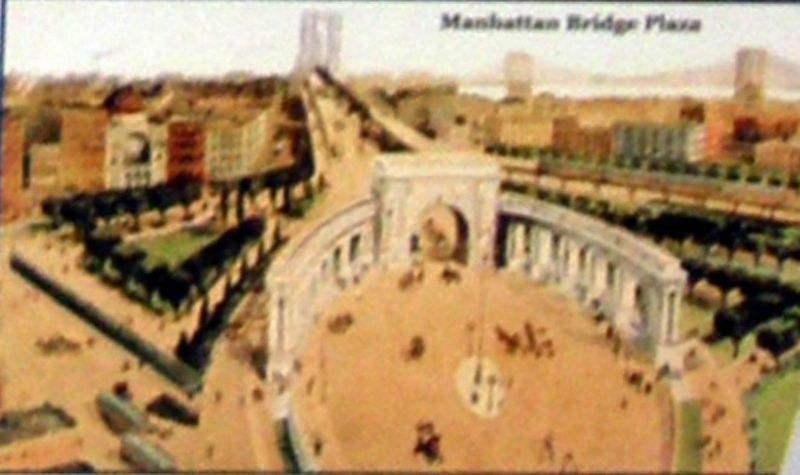 The elevated was torn down in 1956. From stereoscope card. Some of the buildings on the left are possibly still there from 1901, though refronted. More. Search the internet for NYC’s Oldest Thoroughfare. Credits. This page was last revised on April 16, 2019. This page originally submitted on April 11, 2019, by Larry Gertner of New York, New York. This page has been viewed 31 times since then. Photos: 1, 2, 3, 4, 5, 6. submitted on April 11, 2019, by Larry Gertner of New York, New York. 7. submitted on April 14, 2019, by Larry Gertner of New York, New York. • Bill Pfingsten was the editor who published this page.